Good Investment Opportunity! You Must Keep An Open Mind! Week after week, we read about how our Singapore properties are inching up to reach highs. Even the experts are warning of bubble building in our red hot property market. Will it ever cool down? So what is there to buy now in Singapore? While there are still ‘pockets of opportunities’, it is no longer a simple question. It is now getting more risky and would require those with strong holding power to enter the market. For example, I am sitting on more than 1 million profit for the landed house I bought in mid 2009. But it would definitely take much longer for it to make another 1 million. As it gets more challenging in Singapore, I feel that Singaporeans have to keep an open mind to opportunities around the world. I have invested into various countries across many continents and for now, I would like to share the most recent investment I have gotten into. A few years ago I was quite against the idea of investing in Iskandar as I have observed lots of funds going into Iskandar with no much progress. I have seen some companies trying to market their properties into Singapore at relatively high price, especially the overly rated Danga Bay area. However, in the recent 1 year or so, I can see that there are more tie ups that Singapore has with Malaysia after the KTM exchange program. I believe some of you are aware that Singaporeans can now use your medisave in 12 hospitals refered by Health Management International and Parkway Holdings. You probably have read that Peter Lim, our Singaporean billionaire stock broker and investor, investing into the medical hubs in JB. More importantly, there are concrete plans for our Thomson Line MRT to be linked to JB Central (with stations planed) around 2018 and beyond. As such, I believe that the doors of collaboration between Singapore and Malaysia have opened up. I have recently bought into 3 stacks 4 storey shophouses above Taman Sentosa area. These 3 shophouses will come with 12 strata titles upon completion. 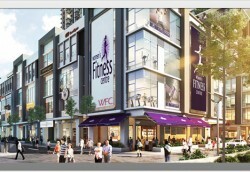 I believe it is a good deal as the units are going for about RM400psf or S$165psf. 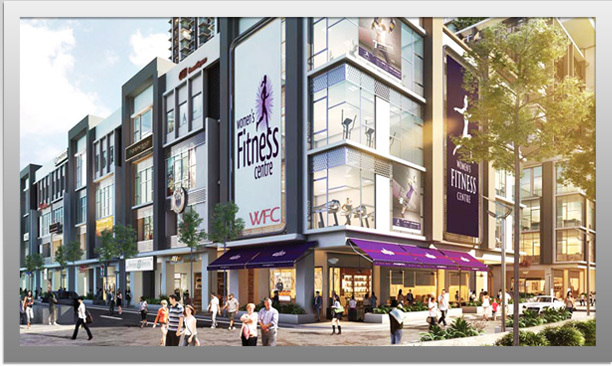 This is a far cry from Singapore retail and office units that are easily going for S$2000-S$4000psf. Imagine, these shophouses can operate 24 hours and my tenants can be KFC, MacDonalds or any Coffeeshops that offers high yield. Anyway, I’m investing for mid term and I believe this project will yield good gains for us. While I believe there are still many opportunities for us as investors to ‘strike gold’, we have to be aware that there are still some developers out there trying to sell to you at future price. In this turbulent global world economy that we are in now, we cannot help but to play safe. So, do yourself a favor by buying into undervalued assets only. I have just arranged for my participants of Property Riches Program under WK Investment Network to get a hold of some investments in Iskandar area. I have already negotiated with the developer and secured additional discounts for our network. And best of all, you can put in 10% down but get MUCH more immediately upon completion plus 5 years rental! I want to thank my network for your trust and continuous support. Cheers to more profits to come! Wendy when are you marketing Iskandar? Can sharew me your iskandar project? Btw, I am also born on 2nd July! perfect job, just keep going in this way, you will make your country shine year after year, and be the example for generations to come. Your article is quite eye opening. I once met a woman from Canada who bought several properties in the coal regions of the united states, she seemed very successful and happy with the investments. The buildings were purchased in and near Mahanoy city Pennsylvania. Opportunities are all around of us, keeping the voice with you, I must say, just open your eyes to find out those opportunities. One sector collapsed, another opened, this is the rule of the investment based economy. Like the gold sector, while the other sectors are closing down due to the financial turmoil, the gold sector is still remaining its full glory. So, everyone needs to know how to find the best solution. I think if you have all the money to invest in anything or for instance in properties, it is also a good idea to invest outside of your country especially in areas that still need developing since the properties there must not cost high at the moment. Also, it is indeed practical to invest in undervalued assets since the capital required from investing in such sectors is not so big since you do not need to start from scratch because most likely what you will be doing is just to renovate or extend some parts of the properties. Everyone, whenever when starting or deciding to invest, should keep an eagle eye and open mind for the market trend. Patience is the key to success in investment sectors, because usually profits are not reaped in the near future, instead it take a long long way for us to get double the amount which we invested. Not always all the sectors are at their peak all the time, so we should invest in different sectors at the same time. Because keeping all the eggs in the same basket is quite detrimental to our assets. so better keep an eye open for the changing trends and get what you want. There are many sectors and options that one investor can strive for and only the strategy can bring a investor the most desirable goal. Hence it is compulsory to the all investors to assess the opportunity first and then finally got to the field of investment. I read the whole article I must say that this article allow me to know a lot of things that I did not know. I recommend this articles each and every investors. Agreed… the recent hype at danga bay is nearly RM1200 psf with a promise of future potential….just beware.